With the cricketing award season now wrapped up, it’s time to look at our own awards for the Big Bash season. BBL Fantasy is one of the tougher fantasy sports to master, but if you got it right, you probably had a few of these guys in your team. 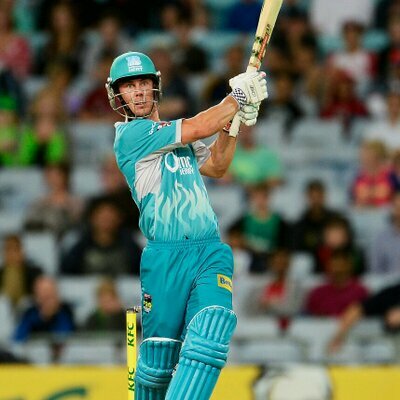 Lynn was the standout batsman of BBL|05 scoring 378 runs and playing every game of the main season. He averaged 61 points for the tournament and finished incredibly strongly with a five round average 87. Obviously if you include the finals, Travis Head becomes the highest fantasy scoring batsman, but it was Lynn who stood out most throughout the regular season, hit the most sixes and was the best pure batsman of the tournament. Russell finished the season with two scores below 60. In every other game he produced a captain’s-worthy score making him the DT Pig of the BBL universe. He started the year off with a bang, scoring 182 points in round one and his momentum never stopped. No one comes close to Dre Russ in this category. It wasn’t the best year for wicketkeepers, but Tim Paine was certainly the best of them. He averaged 49 points for the tournament which is a little skewed considering his two scores of 131 and 137, but is still the best of the wicketkeepers. Ludeman was probably a little more consistent, but Paine was a match winner and so he gets the nod. Rashid was the most reliable bowler across the tournament. His average of 55 points didn’t fluctuate too much throughout the tournament with the leg spinner usually good for two wickets and a solid economy rate each match. There weren’t many single position bowlers that came anywhere near Rashid this season. Honestly, if Khawaja had played through the entire tournament, he would have won every award on this list – yes, even the bowling ones, he’s amazing. Khawaja produced scores of 124 and 90 in the finals making him a death blow to any team who didn’t have him captain. Khawaja will be priced at something insane next season, but he was certainly worth every penny for finals this year. Anyone who follows domestic cricket knows that Travis Head is a star of the future, but this was a massive step up. Head averaged nearly 64 points for the tournament and even managed to add another dimension to his game by taking wickets. One thing is for sure, a lot of people will be heading to him BBL|07 when they pick their side. International players are supposed to be the backbone of a team, but Michael Carberry found himself carrying drinks for most of the tournament. After a poor start, the likes of Ashton Turner and Marcus Harris were prioritized ahead of the Englishman and Carberry found himself on the outer. This was mainly due to his slow scoring. Only once did he turn a start into a good score and when he failed to score, he usually had a lot of dot balls to his name. You get the feeling the Scorchers will go for someone else next season. I didn’t actually go through them all so feel free to put a better team name in the comments. Big thanks to Nic for his awesome work over the BBL Fantasy season.- DT Talk.